Brad and Bethany Pearce of Avon, Ohio, announce the birth of their son, William Charles Pearce, on Sept. 12, 2017. 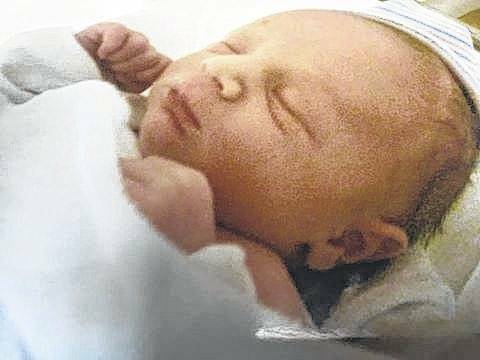 Will weighed 8 pounds, 10 ounces, is 21 inches long and shares his birthday with his uncle Joe Pearce. He has a sister Natalie, who is two. Grandparents are Rev. Charles and Lisa Woodward of Centerville, Ohio, and Rick and Laura Pearce of Mount Gilead. Great grandparents are Bob and Carol Mociulewski of Clinton Towship, Michigan; the late Fred and Pat Woodward of Michigan; the late Charles and Jean Pearce of Johnson City, Tennessee; Rosemary Brown and the late William Buford Brown of Mount Gilead.